There’s a popular phrase ‘start as you mean to go on’. It is so important to begin your day with the right mind, one that is positive, calm and peaceful. With this mind we are able to support the free flow of Qi energy – our life force – around the body. An abundant and free flow of Qi is what keeps us physically, mentally and emotionally healthy. Stress and negative thought patterns can create blockages in our energy system creating an imbalance as well as draining our energy. Meditation is the perfect antidote to this as it calms the nervous system, reduces stress and helps us to recharge, enabling us to feel calm and peaceful. It also gives us the clarity to observe any negativity we may have and rearrange our mind, helping us to ‘start the day as we mean to go on’. Start your day with a 10-15 minute meditation and see the difference it will make to your life. It’s no secret that food is to the body, what petrol is to a car. Eating regularly as opposed to snacking on sugary treats or caffeinated drinks will help maintain energy levels. Remember to drink plenty of water throughout the day as our body’s are made up of 70% water. With the weather proving unpredictable, it’s important to regulate our body temperature to avoid draining energy. The lower abdomen and the top of the head are the two major energy centres and should be kept warm whatever the weather. You can also support your energy system by avoiding cold drinks and drinking warm water especially during the colder months of the year. It’s important to remember the power of the mind – a positive and happy mind supports our body, mind and spirit. Gratitude is an essential ingredient to cultivating a happy mind. Express gratitude to others as well as reflecting on all the things you have to be grateful for. Practise opening your heart to others with words and actions – a kind act is never forgotten and will give you so much joy and happiness. The famous Louis Armstrong song goes, ‘When you’re smiling, the whole world smiles with you.’ Smiling is infectious, when you smile you can make others happy. Practise smiling in front of the mirror. Even if you don’t feel like it, the more you practise, the happier you will become. Not only does smiling make you and others happy, but it also enables the free flow of Qi around your body further supporting your health and happiness. 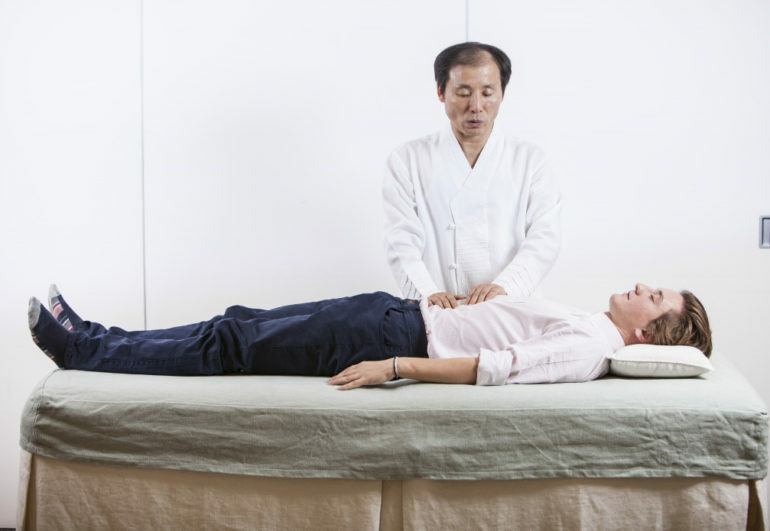 *Why not experience the power of Qi with an energy treatment followed by a consultation from Master Oh.